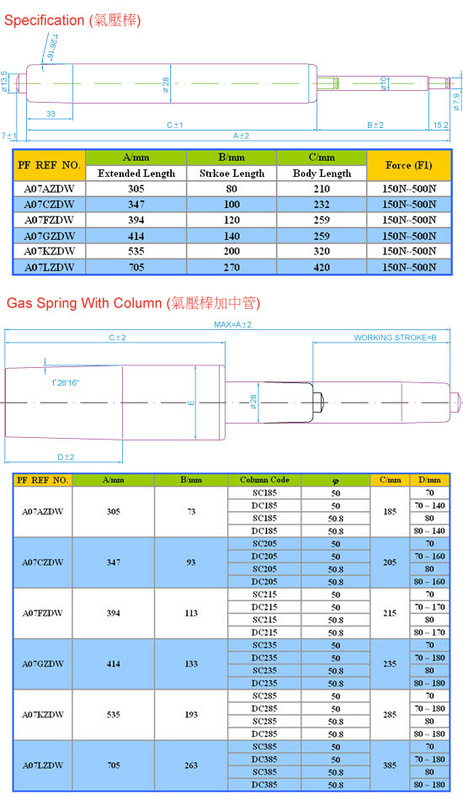 Gas Spring - A07LZDW All dimension can be customized. Stoke from 80~270mm. Froce from 150N ~ 500N.